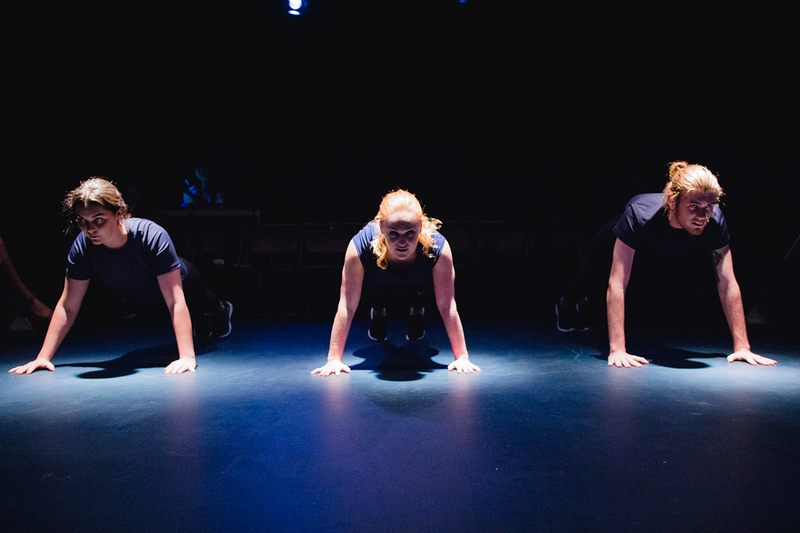 The notion of extreme self-improvement for the survival of the individual and the species drives Blueprint, a physical theatre drama devised by recent WAAPA graduates, showcasing a range of skills in an absorbing performance. Successful in a competitive selection process, three candidates undergo a series of experiments to enable space travel and eradicate all the afflictions that have ever plagued humanity. Volunteering to establish the first colony on Mars, Alex (Jessica Russell), Lewis (Sean Crofton) and Jane (Phoebe Sullivan) maintain strict physical discipline while undergoing enhancements in breathing efficiency, boosted skin resilience and bones made unbreakable. Impatient for the application of genetic modification improvements, bickering and plagued by nightmares and regrets, the rigours of the enforced artificial confinement prove too much for Lewis and Jane, leaving a determined Alex to join candidates trained elsewhere. 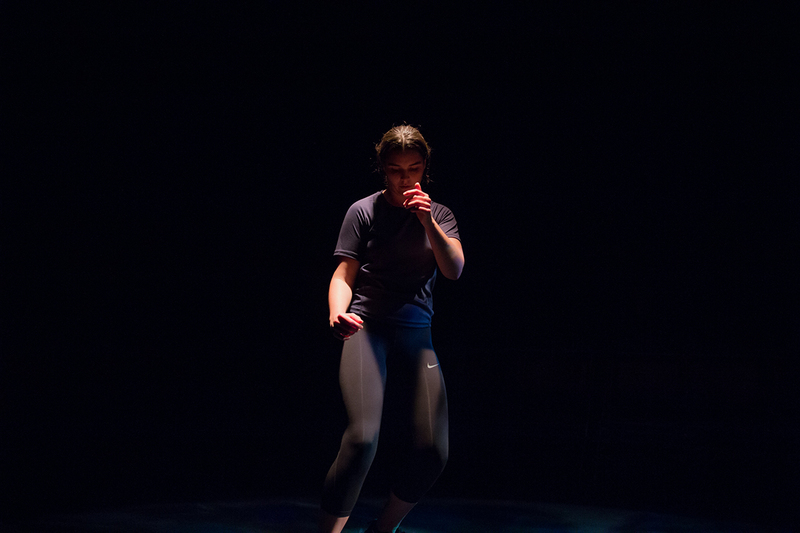 Blueprint melds performance styles, including shaped movement, strenuous exercise montage and conventional theatre. Synchronised subtle movements in response to the force of an imagined wave provide a powerful ensemble opening, the metaphor of an oceanic struggle to survive permeating the narrative. 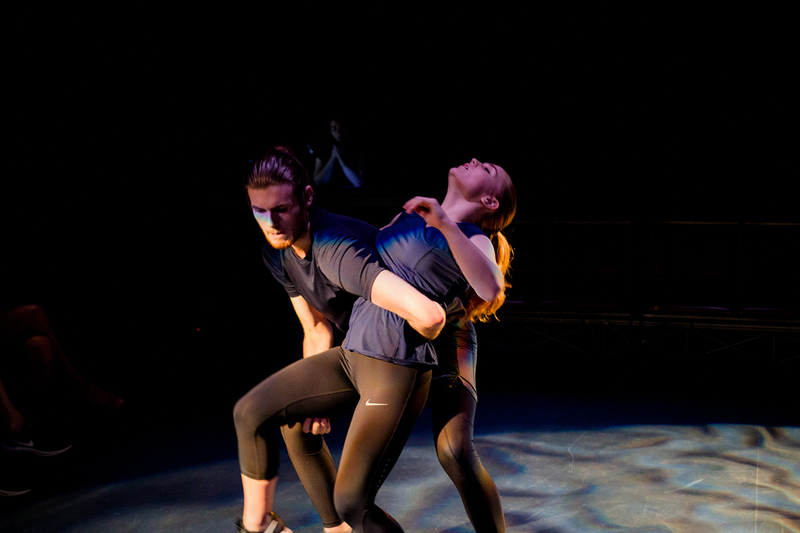 The performers respond to the oncoming storm individually, but share the angle of its impact. Russell reprises this sequence at the end of the play, diminishing the power of the visual impact if emphasising the difficulty of solo survival. This strained, lonely ending reinforces the audience’s sense of misdirected effort. The competitive striving to improve humanity by perfecting the individual comes at the expense of fundamental joys. In the training sequences, Sullivan transports us away from dry land and gravity to sudden loss of space craft pressure, while Crofton and Russell recite the stages of death resulting from direct exposure to the vacuum of space. Sullivan’s body twists and contorts in slow, deliberate grace, taking us to the darkest reaches of millennia, floating and never decaying in the dream-clear logic of nightmares. Russell brings a dancer’s sinuous interpretation to her bootcamp bodyweight routines and, closely paired with Crofton, balances in tableaux providing visual accompaniment to Sullivan’s monologue contemplating the future. Impressive extended skipping rope sequences feature the performers delivering text without a hint of breathlessness, while vigorous, stylised aerobic workouts immediately precede extended ethical debates, the onslaught of words and scientific concepts mirrored by punishing physical exertion. The ensemble’s careful choreography offers visual impact from all directions. Beyond movement, each actor sensitively depicts their character’s flaws. Sullivan exudes the natural confidence of the loved and supported over-achiever — high maintenance Jane. Crofton’s Lewis fails to make friends as he struggles with emotional distance and baffled impatience. As Alex, Russell demonstrates bemused self-containment, rejecting personal connections to focus on the greater good. Mentored by WAAPA’s Frances Barbe and Susie Conte, devisers Russell and Sullivan have taken a concept from their student work and developed an intriguing demonstration of skill in scripting, dramatic delivery, strong characterisation and physical expression that takes us beyond the bare stage and into a palpably imagined future.